Why spend thousands of pounds to make an episode of one of the most popular TV series of the time, only to leave it gathering dust in the archive? Thirty years ago, with only three channels to choose from, Doctor Who and Secret Army on BBC One and The Professionals on ITV routinely delivered audiences bigger than even the most successful programmes do today. Yet between 1978 and 1979, the producers of all three programmes shelved a story from each. The explanation has much to do with that period: economic decline, political inertia and industrial unrest creating a combustible combination. A strike does help explain the non-appearance of Shada - a six-part Doctor Who story - yet this is perhaps the most inexplicable of the three. At the time, just as now, Doctor Who was a major part of the BBC's schedule. 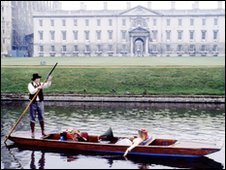 Shada was the climax of the season and location filming took place in Cambridge, which lead actor Tom Baker recalls with great affection. "We were staying just outside St John's College in a pub called the three tons or three nuns and the music scholars, the singers, would come to me in the pub and I would buy all the drinks and they would sing to me, in harmony. It was a very happy time," he says. The broadcasting unions, however, targeted the programme for industrial action. A planned night shoot was disrupted when the technician in charge of the lighting was ordered to withdraw his labour. Studio recording was disrupted by the strike but it was all over the day before Shada was due back in the studio. Yet it never made it. The programme was left two-thirds finished and then dropped altogether. Thousands of pounds-worth of work came to nothing. So why did the BBC abandon six weeks-worth of programmes for one of its most popular series? Until now, the conventional answer has been that the strike in autumn 1979 so disrupted the recording of programmes that when the studios were back in action priority had to be given to Christmas specials. Doctor Who's slot went to Morecambe and Wise. But Professor Jean Seaton who is writing the latest volume of the BBC's official history suggests a different reason. She sees Shada as a line in the sand. In the past, programmes disrupted by strikes were simply re-mounted afterwards and therefore the industrial action had no visible consequences to the outside world. This time, thinks Professor Seaton, the BBC decided enough was enough. It scrapped a key peak-time programme in order to demonstrate to the unions that strikes have consequences. So Shada was not just shelved; she believes it was sacrificed as well. 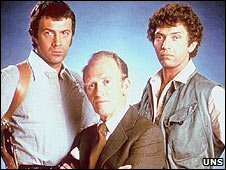 The Professionals followed the adventures of Bodie and Doyle, a former mercenary and an ex-policeman who worked for a shadowy government department. 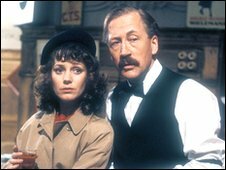 But spies and fisticuffs aside, the show's co-creator Brian Clemens wanted to use the series as a vehicle for social comment. The last episode of the first series, Klansmen, was scheduled to air in spring 1978. Its subject was racism - very topical at the time. The National Front was very active, provoking confrontation on the streets. At the last minute, LWT - the ITV company which commissioned the show - took fright. It was dropped from the schedule. Clemens, who also wrote the episode, has never understood why. "We were making an episode which was hopefully going to change attitudes not reinforce them," he says. "And anyway, if it had been controversial, if there had been complaints and letters, so much the better because all these racist things, you have to bring them out from under the stone and air them," he adds. One former LWT employee suggested it was not the racist language which would have stopped it being aired, but more likely she suspected that it might have been the wrong kind of series in which to debate such sensitive questions. Whatever the reason, Klansmen has never been shown on terrestrial television in the UK. As recently as the autumn it was dusted down by ITV with a view to broadcasting, but once again the decision was taken to return it to the archive. What Did You Do in the War, Daddy? was planned as the final episode of Secret Army. Set in occupied Belgium during the World War II, the series chronicled the bravery of the resistance, who smuggled out allied airmen shot down over the country. Uniquely, the last episode was set 25 years after the liberation and centred on a reunion involving the main characters. It questioned the whole point of the resistance and went so far as to suggest that fighting the Nazis had led the allies to miss the main threat - communism. 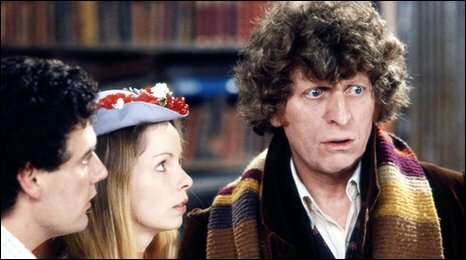 The official explanation as to why the episode was dropped was that strike action had made it impossible to finish editing in time for its scheduled broadcast in December 1979. In fact, What Did You Do In The War, Daddy? was finished. So why was it suppressed? Professor Seaton thinks the real reason was that the tone would have offended many who had fought in the war, not least many BBC executives. You can hear Shelved, on Saturday 12th December at 10.30am on BBC Radio 4 and on BBC iPlayer.